"IT WAS THE PERFECT PLACE TO LET OURSELVES SHINE." You want your wedding to be perfect. We've got you covered. To make things easy, we have an all in one package that takes care of everything you'll need. From sculptures outside to paintings on the walls, everything you see is inspired by art. Have you heard of any other wedding venue like that? To make things 100% stress free, you will be paired up with your very own wedding coordinator from Artesano who will be by your side from beginning to end. This venue was specifically designed from the ground up with one goal in mind: to make your wedding seamless, beautiful, and perfect. When we say we provide culinary experiences, we mean it. Every single menu we create is 100% unique to you and the foods that you absolutely love. When we ask people why they got married here, we often hear a similar answer: They felt like they were getting married in a hidden gem. I fell in love with the space the minute I entered the door. I can't imagine a better choice of places to get married. I had the most amazing time. Artesano's wedding planner even drove the mothers back to the hotel post party! The venue is so unique and absolutely gorgeous. How could you not love this place!? Best atmosphere and party planners!!! Wouldn't change a thing. Everything I always wanted and more. It was the perfect place to let our personalities shine. + What is the price for a typical wedding? We want to provide you with a wedding experience unlike any other. From getting you your own wedding coordinator to make sure everything is perfect to having you do a tasting to guarantee that you absolutely love the food ahead of time, everything has been created so that your wedding is everything you've ever dreamed of. We pride ourselves in our high quality, so the price is not "cheap" or "low-cost." With that in mind, we have an all inclusive wedding package so that we can work with you and your budget. The easiest way to get an estimate is is to fill out the Book A Showing form on the website and we will get in touch with you to go over cost in more detail. The reason why we can't give a number up front is because it largely depends on the number of guests that you plan on having, so fill out the form and we will be in touch soon to give you an estimate! + What is the capacity of the venue? We can hold up to 250 for a seated dinner and up to 300 for a cocktail style event. + What does the wedding package include? To make sure that the planning for your wedding is easy and 100% stress free, we created an all in one wedding package. 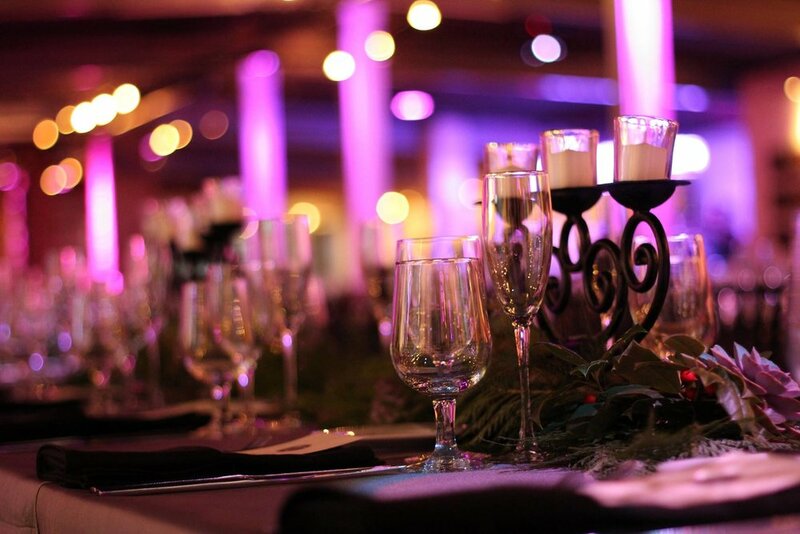 It includes the venue fee, a parking lot for your guests, a custom food menu, everything for your bar, a full lighting package as well as hundreds of real candles and your entire table setting including linens, china, silverware, glassware, etc. We also provide a full service staff, accent décor and furniture, a private bridal suite, and Special Event and Host Liquor Liability Insurance. The only thing we cannot provide you is the alcohol, since that requires a special license. From initial planning until the end of your wedding day, you will also have your own personal wedding coordinator from Artesano Gallery to make sure that everything goes perfectly! + Can you walk me through all of the details of what is included in the package? Venue Fee – Rate varies depending on your guest count and the season of your event –we pride ourselves on only doing one event per day. Parking – As your guests arrive we will provide signage and an attendant to instruct your guests where to park and enter the event. Ceremony Space – We can host your ceremony in the newly renovated addition to our property (if needed). Bridal Suite – Prior to the ceremony, the bride and her bridal party can relax and apply their finishing touches in this private area adjacent to the ceremony space. Lighting – Hundreds of candles, both votive and pillar dispersed throughout the gallery. State of the art LED up lighting and Pin spot lighting with choice of color wash will be provided. Custom Menu – Our Chef will craft a cohesive menu for your event based on your preferences and style. Service Staff – You will have access to an Event Manager, Bartenders, Servers, Event Chef, Cooks and Custodial staff that are all focused entirely on your event. Rentals & Service Ware – All china, flatware, glassware, tables, chairs, linens, platters and serving pieces needed to execute your event. Accent Décor & Furniture – We provide the use of our exclusive hand forged accessories and furniture during your event. Some of the items included are marble and iron high-top cocktail tables and chairs, hacienda tables and luxury chaises, glass and iron tables, as well as glass and iron display pieces. We also have a furnished lounge area in both the upper and lower gallery and iron candelabras for your dinner tables. Miscellaneous – Special Events Liability and Host Liquor Liability Insurance provided for your event. + We are interested in Artesano Gallery. What do we do? All you have to do is fill out the form on the Book My Showing page of the website and we will get in touch with you to discuss next steps. In the event of a cancellation, all payments made to Artesano Gallery are non-refundable. + Will there be any other events on the day of our wedding? Absolutely not, the venue space is rented to you and only you. You will have access to the entire venue space throughout your rental time. + At what rate may we extend the event time? Customers may extend event time at a rate of $600 per every 30 minutes. + Is there parking available? Is there a fee for parking? There is a parking lot directly across the street from the venue entrance. Parking is included in our wedding package. + How long will I have access to the space for? Is there a set time? You are welcome to the space for a period of 5 hours. The cutoff time for each event is midnight. + Can I use my own vendors or do you have an approved vendor list? You are welcome to invite any vendors that you like. If you would like help in finding local vendors, we do have a Suggested Vendor list we can provide you. + How much is the event deposit and how does it apply? It costs $1,000 to book the day, and that payment acts as a security deposit which will be returned to you within two weeks post event (less any amount retained for damages with documentation). + What if I have a question that is not answered here? All you have to do is fill out our Contact Us form on the website with your question and we will get back to you shortly! View our wedding venue calendar of availability.